We're always happy to see how excited you get about our updates and this time we have a BIG ONE! Like, REALLY big! Crypterium has just appointed a new CEO and the man is an absolute legend! He is a fintech star with vast experience in running global payment systems, as well as the hottest startups! It genuinely feels like he was always meant to lead Crypterium to be a huge success! Just who is this man we speak of? We will reveal his name on Thursday, May 17. Until then, stay tuned! 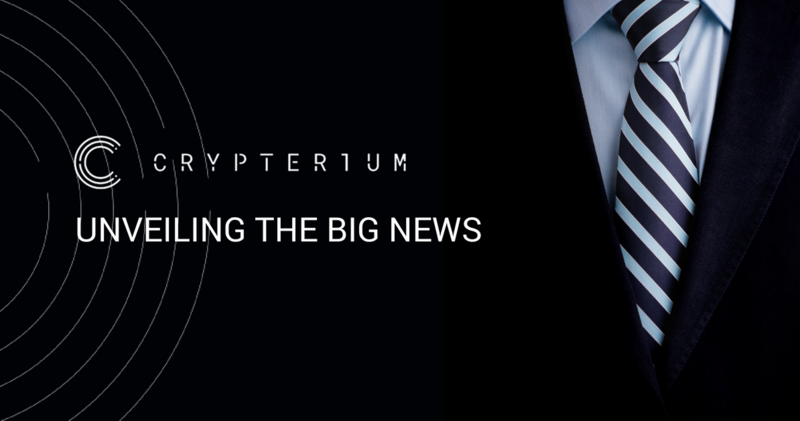 Just to remind you, the new CEO will join a top-notch team of world-class professionals that are already working on bringing Crypterium to a global success. Crypterium co-founders Vladimir Gorbunov and Gleb Markov are seasoned fintech, banking and cryptocurrency experts with over 10 years industry experience and dozen of successful ventures with a particular focus on simplifying real-world issues through technology. Our COO, Austin Kimm, is an experienced results proven financial services CEO who built companies with a current valuation in excess $500 million. The CFO, James Davies, a long term financial technology and derivatives markets expert, spent years holding the position of COO of London Derivatives Exchange. Our CEO during the ICO, Steve Polyak also remains a close member of the team but it was always our intention to make a change once the ICO was complete with a person who is a world leader in mobile payments. Steve still supports the company but our new CEO will take over the reigns and run both strategy and day to day operations from the date of his announcement. Together with you, we're ready to take on the world!